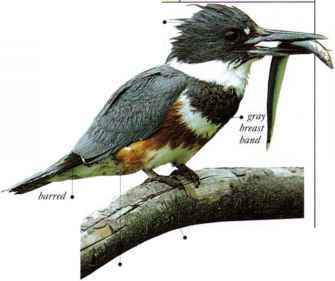 With a wide distribution in the tropics, this adaptable kingfisher lives in a number of habitats, including inland open woodland and farmland, rain forest, and mangrove swamps. Its flight is fast and direct. When feeding, it swoops from a perch to take prey on land or in water, taking any small animals from fish and crabs to frogs and lizards. The call is a loud, repetitive "ke-kik." • NEST a burrow in a bank, or a hole in a tree or termite nest.